In my house, we have a big love of pandas (my son could be called a fanatic!). 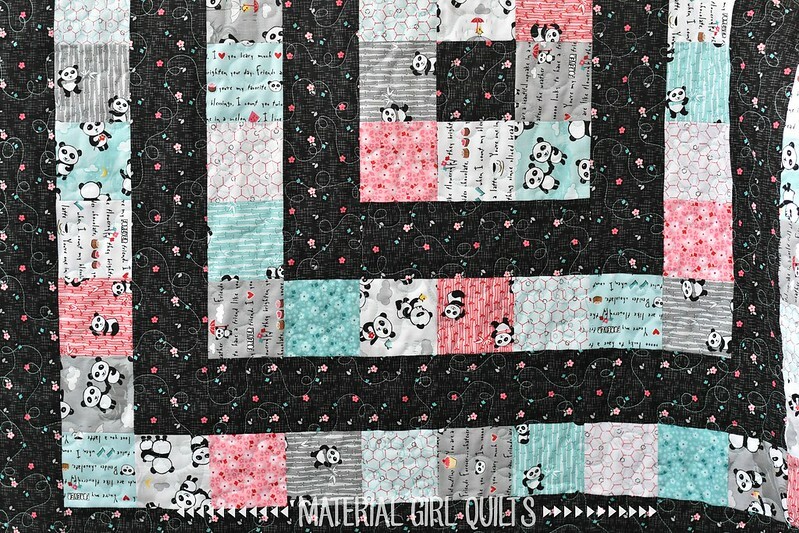 So, of course I adore this new fabric line called Panda Love by Kelly Panacci for Riley Blake Designs. Kelly has put together a fun collection that includes several great low volume prints mixed with aqua, pink and black for a nice contrast. Aren't those little guys hanging out on the bamboo so cute?! 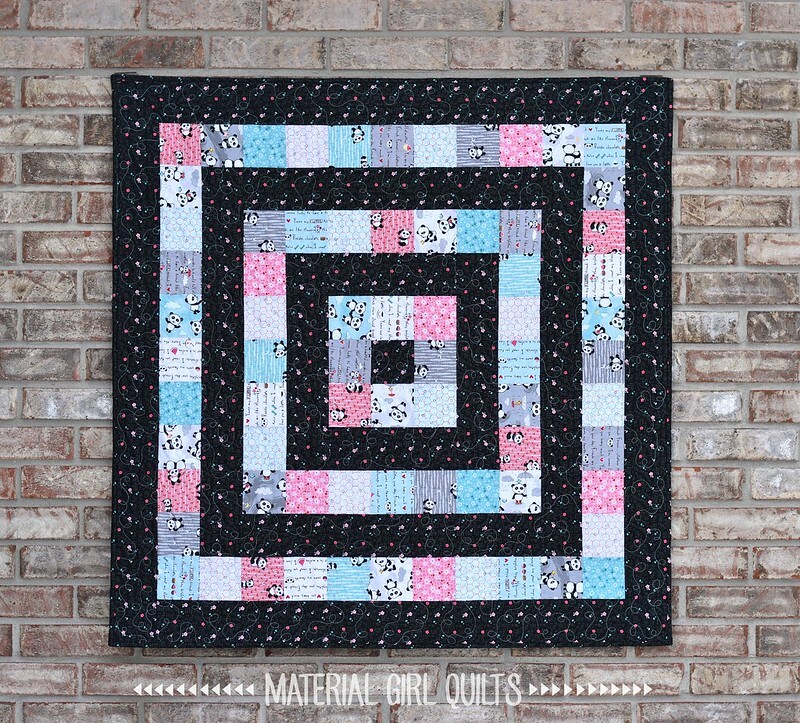 For this quilt, I used my Ripple pattern which comes in four sizes (baby, lap, large throw and queen). As I was piecing it, I made sure to mix up the direction of any directional prints so that the quilt didn't feel like it had a "top" or "bottom" and I think it also makes it feel a bit more scrappy. The backing fabric I chose is a Riley Blake Designs basic called Hashtag Cottons - I used the large hashtag in aqua. You can see all of the Hashtag Cottons color and size options by clicking here. 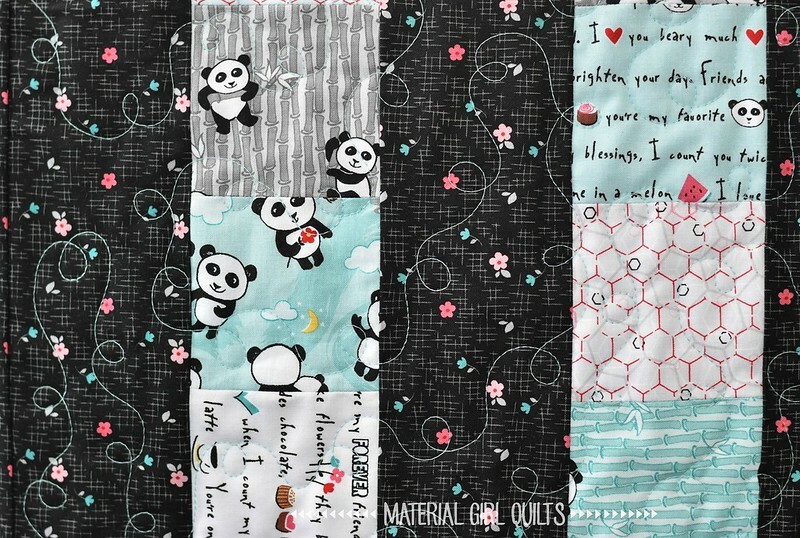 This color and print coordinates perfectly with the Panda Love collection. 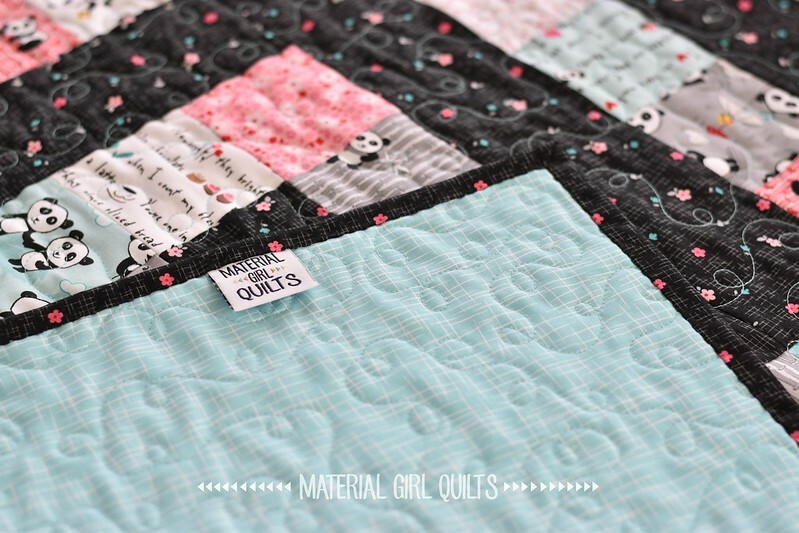 For the quilting, I did some quick meandering loops using Aurifil 50 wt. thread in a matching aqua color. I love how it pops on the black! If you'd like to make a Ripple quilt for yourself - the pattern is on sale for $5 through April 4th. 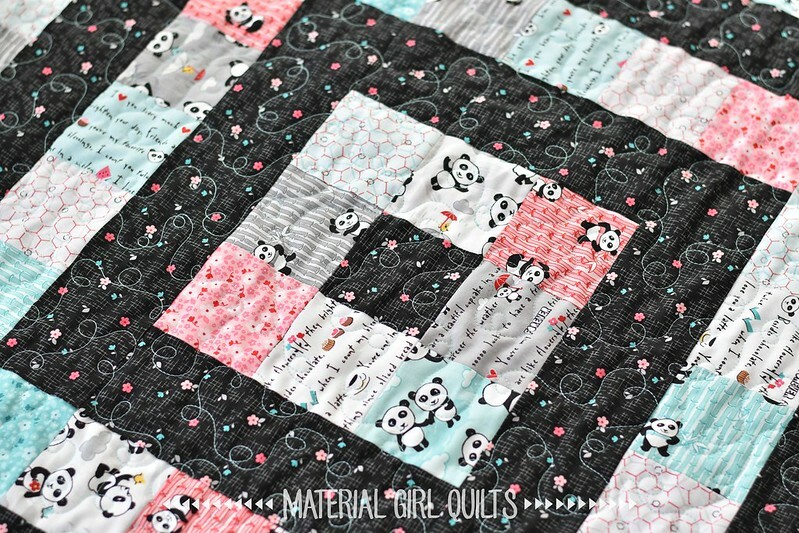 GIVEAWAY: If you want to make a Panda Love version like this one, I happen to have just enough scraps left over that I'll be giving away with a copy of the pattern. All you need to do for a chance to win this "quilt kit" is leave a comment letting me know what your favorite vacation spot is...I'm looking for new ideas :) And planning a trip when winter won't seem to ever end always lifts my spirits! UPDATE!! The winner of the giveaway is Suzy K!